Ginskey is distilled in small batches from the finest all-natural botanicals and well rested in New oak casks to perfection. The process infuses scotch and whisky flavors giving it the nickname “Ginskey”. Ginskey is the winner of the prestigious title “World’s Best Cask Gin” at the 2015 World Gin Awards in London. 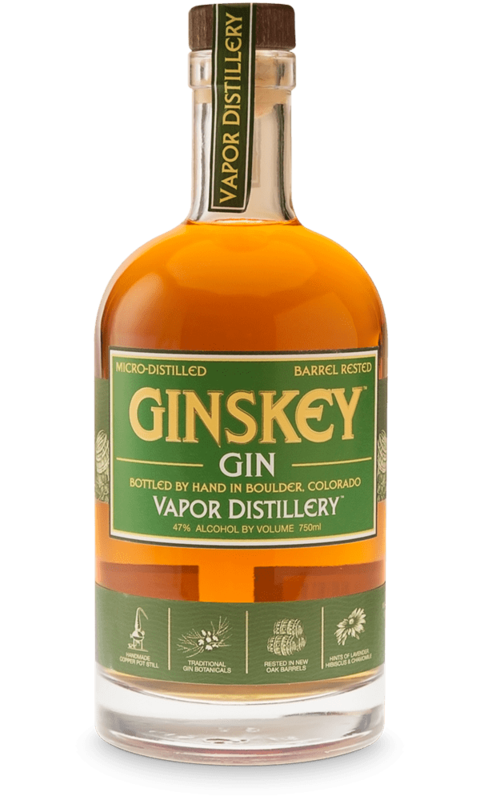 The recipe for Ginskey Barrel Rested Gin starts with Vapor Distillery’s signature Award Winning Rhok Gin that they distill in small batches with the finest, hand selected botanicals and ingredients. Then it is aged to perfection for a minimum of 2 years in new #2-char, American Oak Barrels to make the rich smoky, caramel, vanilla and warm spicy oak flavors more commonly associated with whisky. 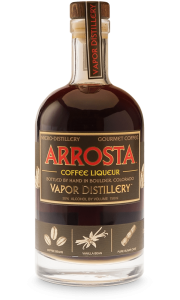 The taste is complex spicy aromas and flavours of violet, clove candies, nutmeg and cinnamon sticks with a layer of vanilla-banana custard pastry and floral juniper blossoms. It is supple and dry, yet with a fruity medium-to-full body taste. No colour is added – the colour is dark because of the aging in American Oak Barrels.